From the North, take Highway 101 South across the Chetco River Bridge; turn left on to East Hoffeldt Lane at at the second traffic light. We are one block up the hill on the left (behind the Dollar Tree). Look for the blue and white "LAW OFFICE" sign. From the South, take highway 101 North, turn right on East Hoffeldt Lane at the second traffic light in Oregon, about six miles north of the California border. We are one block up the hill on the left. 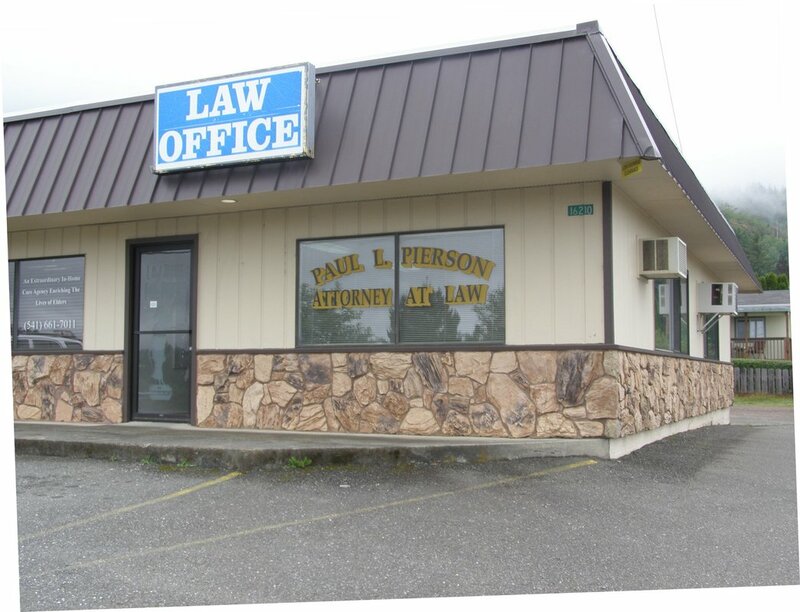 Look for the blue and white "LAW OFFICE" sign. 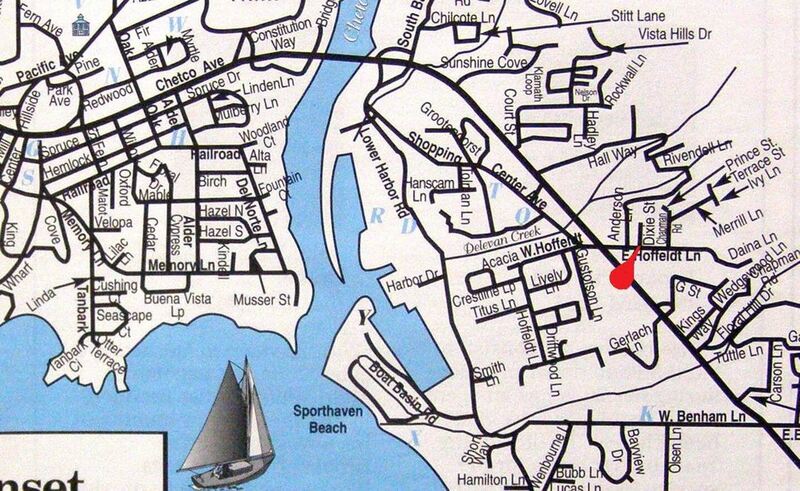 Note: DO NOT RELY ON GOOGLE MAP OR INSTRUCTIONS - it's incorrect!